Long road ride is never easy even for the pillions. 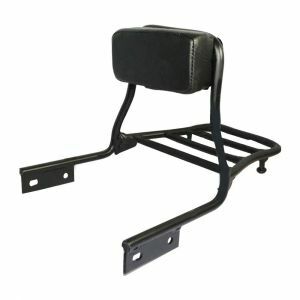 But, you can make the journey comfortable, safe, and enjoyable for your loved ones by installing quality backrest in your bike. 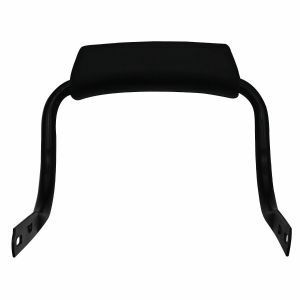 If you are on the look of quality and comfortable backrests, AllExtreme is the best destination for exploring a wonderful range of quality, durable, and comfortable backrests online. Made using the best quality materials, our entire range of backrests offer strong protection to pillion’s back from jerks during the ride. Moreover, their fine finishing and tough look also make them the perfect to install in bikes like Royal Enfield, BMW, Harley Davidson, KMT, Honda, Pulsar, Yamaha, and so on. So, what are you waiting for? Start exploring our range to find the best one for your bike at pocket-friendly prices.